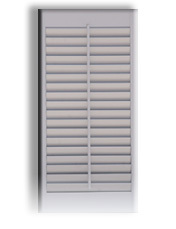 Uncluttered and Contemporary in design, the Clearview shutter boasts a hidden tilt control that allows the louvers to magically float in unison with an unobstructed view to the outside of your windows. 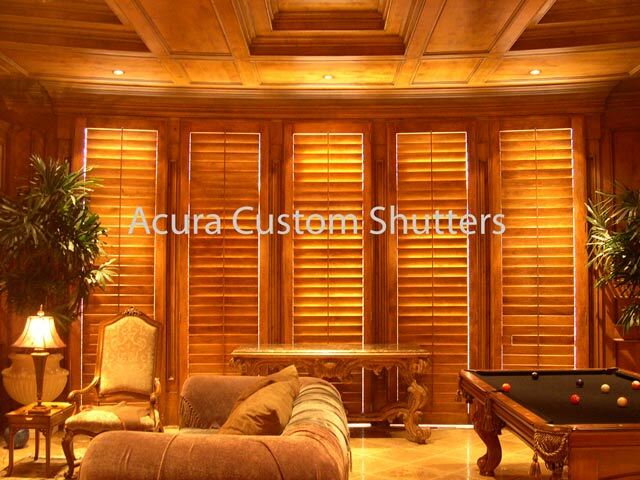 Acura Custom Shutters continues the tradition of "Custom" in an ever increasing cookie cutter world of standardization. Manufacturing in Anaheim California since 1987, you can expect nothing less than the finest quality and superior craftsmanship. 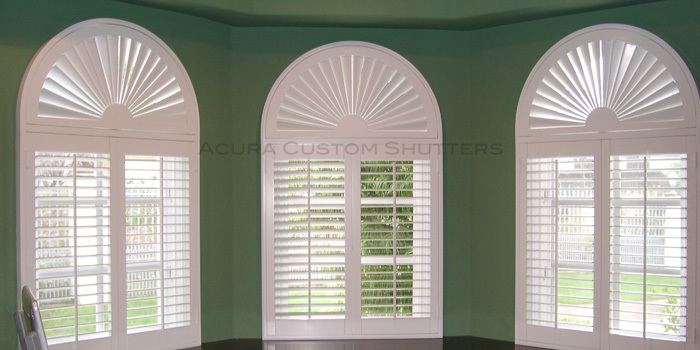 Shutters framed with integrated Sunburst Arches. Specialty shapes including Sunbursts, Arches, Raked Windows. Here is a private dining room of The Californian located at the Hyatt Regency Huntington Beach, California. 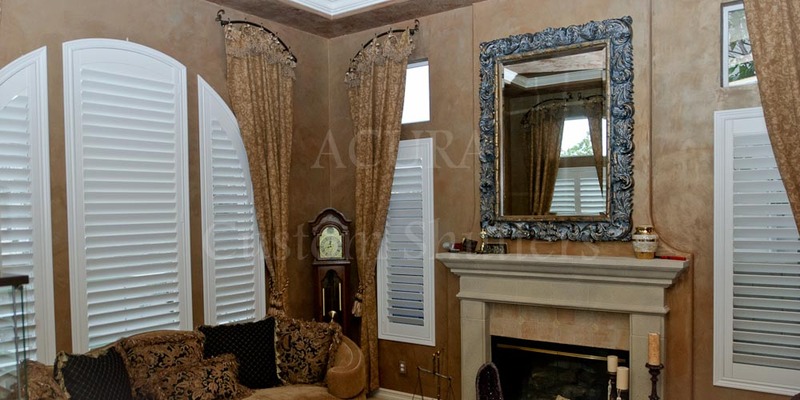 This beautiful living room features custom Italian Plaster which showcases the custom arched windows that are finished with our custom made shutters and decorative framing. 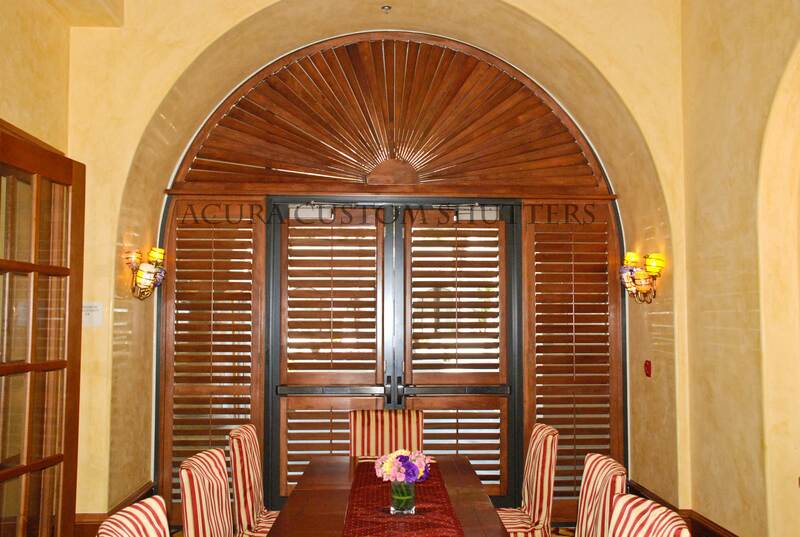 Acura Custom Shutters is one of Southern California's premier shutter manufacturers. The possibilities are limitless. 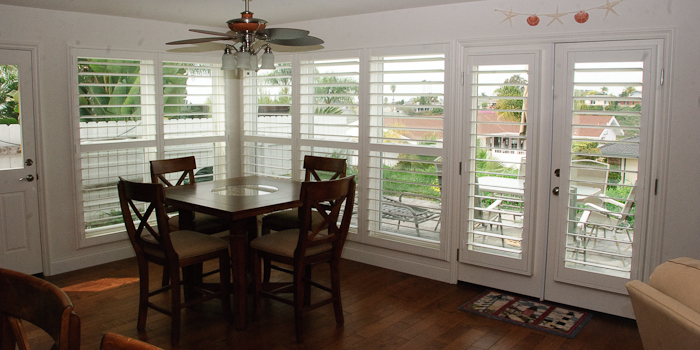 Plantation Shutters: choose from 1 7/8", 2 1/2", 3", 3 1/2", 4", 4 1/2", and 5 1/2" movable louver. 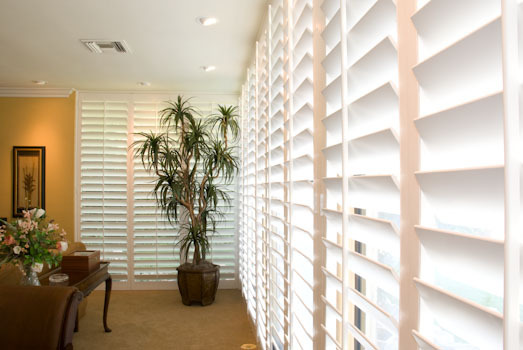 Plantation shutters are the most popular choice in shutters, and we offer them in more sizes and configurations than just about anyone. 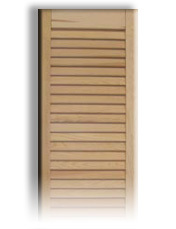 Traditional Shutters: based on the 1 1/4" louver, the timeless style of this shutter (also known as the colonial shutter) has had a resugence in recent years. 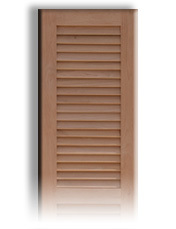 Exterior Shutters: choose from 1 1/4" or 1 3/4" fixed louver, Board & Batten, Raised Panel, or Bahama Style. 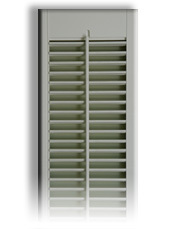 We also can match your existing shutter. Poly Vinyl Shutters: like its plantation shutter counterpart, these are available in 1 7/8", 2 1/2", 3 1/2", and 4 1/2". Maintenance free and extremely durable, these have become very popular in the last few years. Louvered Doors: custom made louver doors including fixed louver or false louver, with the option of flat or raised panel bottoms. Copyright 2001 - 2016 AcuraShutters.com. All rights reserved.